Surfing is one of those fantastic activities that anyone can have a go at. Whilst holidaying at the seaside, the UK provides a myriad of opportunities to surf. Due to the nature and dispersion of our tiny islands coastline, we are privy to some truly breath-taking beaches that provide perfect surfing conditions. Our island is renowned for its rugged coast and locations such as Cornwall, Pembrokeshire and Norfolk have attracted tourists and holidaymakers for decades. Cornwall, in particular, is a surfer’s haven – this quiet and beautiful part of England features stunning scenery, dramatic coastlines and countless world class beaches. Furthermore, people fall in love with the laid back Cornish way of life and the sleepy villages waiting to be explored. In Cornwall, there are a number of fine surfing locations where people can take their family, hire an instructor and have a go at this fun sport. As Cornwall has favourable weather for much of the year, you can even consider visiting in the autumn months to escape the crowds! If surfing sounds like your cup of tea, these four areas boast fantastic beaches where you can head out onto the waves and get on your board! Newquay – the surfing capital of the world! Newquay is a renowned surfing location and has been the centre of the surfing world for many years. This once quiet mining town has developed into a bustling tourist destination and even has its own airport. Situated on the North Atlantic Coast, the beaches of Newquay are perfect for surfing and have achieved legendary status among the surfing community. Many surfing related events and festivals are held here annually and surfers travel from around the world to sample the waves at locations such as Fistral beach. Due to its immense popularity, there are a host of professional surf schools in Newquay, such as Cornish Wave who offer surfing instruction and other exciting activities such as Coasteering. This is undoubtedly one of the best places to surf in the UK and guarantees to deliver fun surfing lessons for couples, friends and families. Further down the coast is the delightful seaside town of St Ives – this is another beautiful location known for its surfing potential. St Ives has a history that is steeped in legend and myth and settlements have been dating back to the 5th century. Due to its layout, St Ives has several fantastic horseshoe shaped beaches that hug the coastline and provide great surfing opportunities. Particular locations of interest include Porthminster Beach, Porthmeor Beach, Carbis Bay and Porthgwidden Beach. These four locations have superb golden sands and reach out into the Celtic Sea to create fantastic surfing conditions. 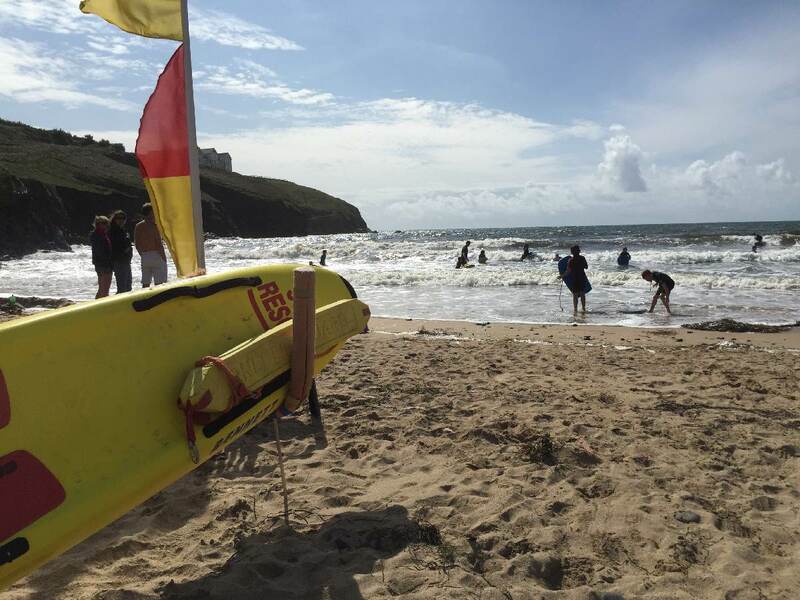 St Ives Surf School runs fantastic surf lessons as well as paddle boarding, coasteering and sea kayaking activities from the ideal surfing location that is Porthmeor Beach in the centre of St Ives. A little further along the coast you’ll find the stunning sandy expanse that is Gwithian, which also boasts great surf and related activities; Gwithian Academy of Surfing covers all ages and abilities and board and wetsuit hire are available at hourly, daily or weekly rates. On the opposite side of Cornwall on the southern coast, you can find the quiet village of Praa Sands. Situated in-between Penzance and Lizard, this sleepy part of Cornwall was once a thriving mining area but as the industry declined, tourism became the popular alternative. Located within a designated area of Outstanding National Beauty, this beach at Praa is truly stunning. Golden sands are sprinkled gently with smooth rocks, and the waves reach right up to the shoreline at full tide. For surfers, the conditions at Praa are ideal and the swells from the English Channel and the Celtic Sea make this place a quieter alternative to Newquay. Global Boarders are an award winning surf company based in this area of Cornwall, who deliver professional surf tuition as well as offering a bespoke surf shop in the heart of Penzance. Home to Poldhu Point & Poldhu cove, you’ll find this ever scenic part of Cornwall a little wilder and quieter than some of our other great beaches to surf in Cornwall. The slower pace of life and picturesque bays give way to cracking Cornish beaches perfect for the learner surfer or more experienced. Poldhu beach cove is owned and managed by the National Trust and offers a typical flat golden sandy beach, lifeguards during peak seasons and great seaside amenities. Look out for the land mark on Angrouse cliff and see if you spot the monument to famed inventor Marconi who is credited as the inventor of radio. Learn to surf at Poldhu Beach with the champion surfer Dan ‘Mole’ Joel at his very own surf school. 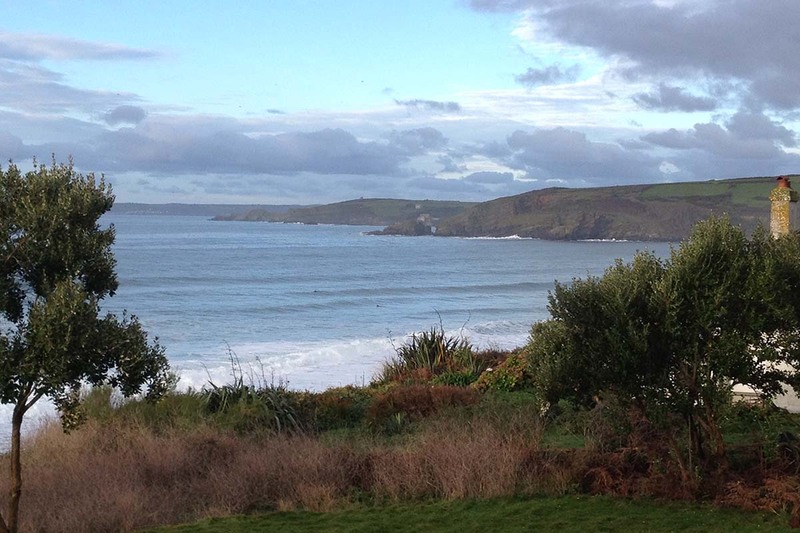 There you have it – four premier and accessible surfing locations in the heart of Cornwall. If you are taking a road trip or a family holiday in the county, be sure to give these fantastic destinations a visit!